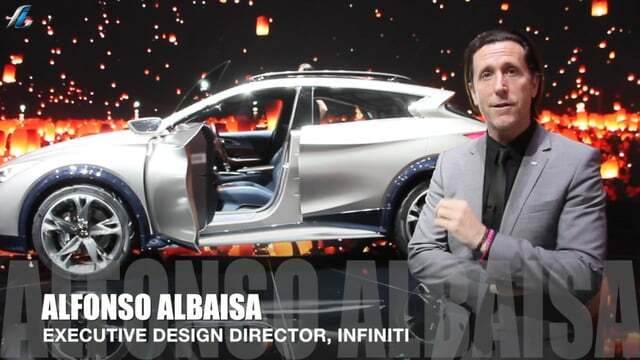 drivingandlife: INIFINITI Q30 - WHAT'S IN A NAME? Let me say straight up, I think this is a great car. It looks striking, it goes well, it’s beautifully built and well-equipped. And, pricing is competitive. But, is it really an Infiniti? Well, no. Basically, the Infiniti Q30 and its crossover 4WD twin, the QX30, are born from a marriage between the Renault-Nissan Alliance and Daimler AG. These new Infinitis are based almost totally on the Mercedes-Benz GLA. An embarrassment for Infiniti or Mercedes-Benz? No way. In fact the marriage of convenience answers two issues. First, the GLA is not a major make-or-break car for Daimler AG. It exists solely because there’s the hardware available to make it happen; but second, it’s a great fit for Infiniti, giving Nissan’s premium brand a new, lower-priced entrant in the market. Also, Daimler’s not stupid. The GLA hardly sells any numbers worth mentioning in the USA, and any added sales coming from this JV will certainly be welcome revenue for the German giant. Another subtle difference, is that in the USA, Infiniti will only sell the AWD QX30 – not the FWD Q30 hatch. However, there are significant differences, which definitely impart a different personality and brand image to Infiniti’s new compact luxury car. You can’t help noticing the striking exterior sheet metal, created by a Cuban-American, who has lived in Japan for more than a decade, Alfonso Albaisa. Thanks to him, the Q30 really stands out on a crowded highway. Also, Infiniti chose to create not only an all-new interior design, but it insisted on some unique touches. 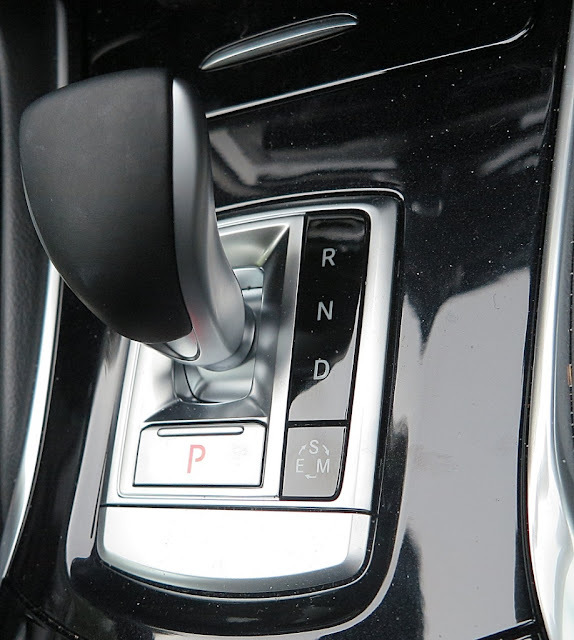 It specified the centre console transmission shifter from the GLA AMG 45, rather than Mercedes-Benz’s regular column-lever. 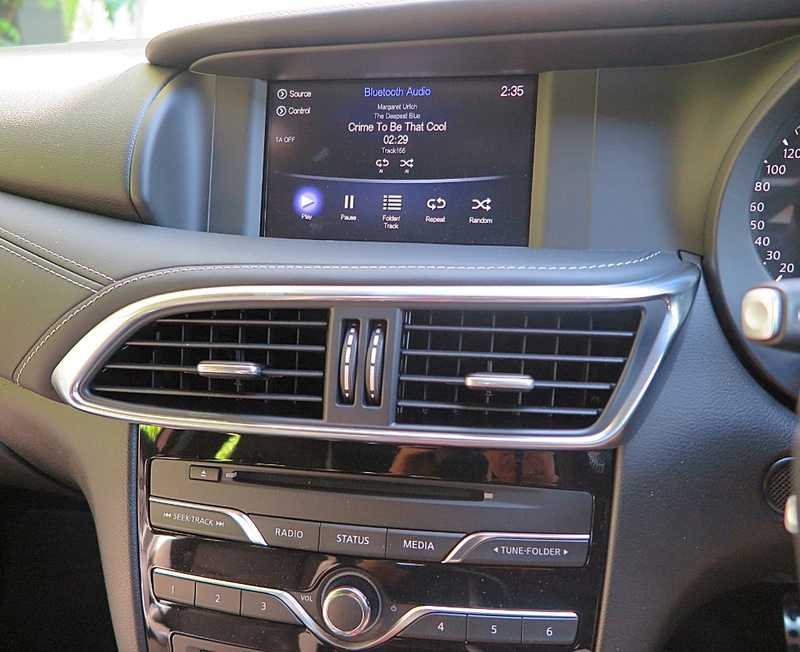 Then it fitted Nissan’s easy-to-use InTouch AV/GPS/Bluetooth system, and designed the IP (instrument panel), so the screen could live under a trimmed cowl, rather than stand out like an iPad glued to the dash like its Mercedes-Benz donor car. 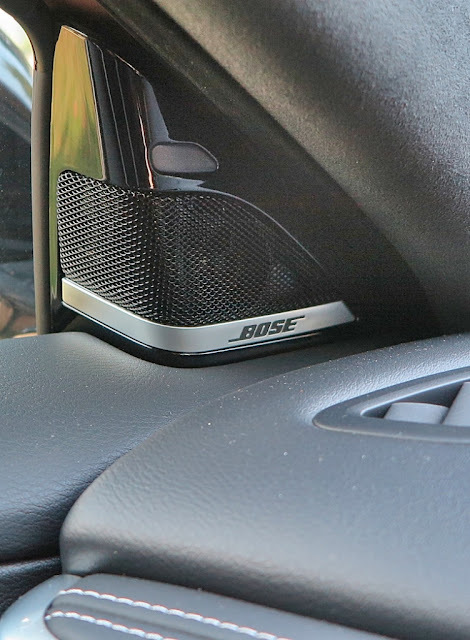 Next, the audio system, by BOSE. What a great-sounding system. That’s a must when optioning a Q30/QX30. The Q30/QX30s are built entirely at Nissan’s Sunderland plant in Britain, a decision which demanded an investment of more than USD$305 million. The strategy mostly aims to increase the number of Infiniti cars sold in Europe, where it has performed poorly over the last ten years. 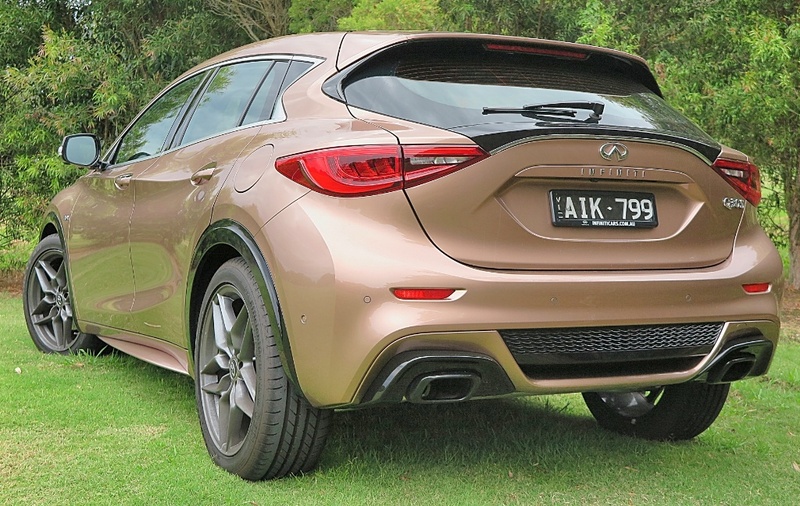 The Q30/QX30 should be well-received in Europe because of its alignment with European tastes, and pricing, which will be well below comparable pricing for the Mercedes-Benz GLA. However, Infiniti’s revitalized thrust into Europe highlights again the difficulties Nissan has faced with expanding the Infiniti brand outside the USA. A source close to the Renault-Nissan Alliance told me the major reason why Infiniti has failed to click worldwide is that Nissan has never made a truly serious attempt at funding a global strategy. Its attempts to enter markets like South Africa, Australia, New Zealand, Europe and Japan have floundered through lack of appropriate marketing budgets, lack of focus, and a poorly-chosen model range. Since the demise of the Q45, which was aimed solely at the US market, too many Infiniti models have been poorly-disguised Nissan cars. A classic example was the Infiniti G20, which buyers recognized instantly as a rebadged Nissan Primera. The Q30/QX30 program appears to be a more focused and serious change of tactics for Nissan. As such, I believe it has made both a bold, and a brilliant choice. Because Infiniti’s crossover looks so striking, and has excellent performance credentials I think it will be a hit wherever it is sold. This car is vital to Infiniti. The crossover market is hot around the world right now, especially so in the USA, where Infiniti needs to make a bigger impact. 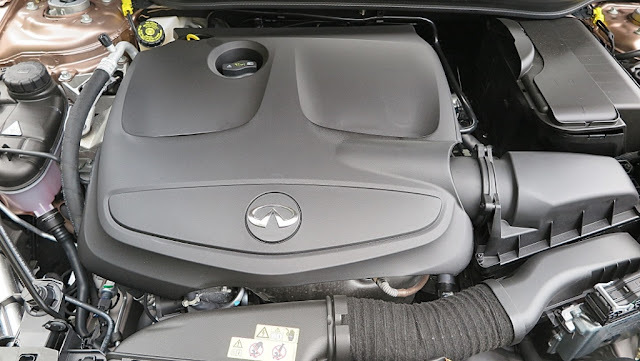 If Infiniti puts a decent marketing program together for Europe, which it could roll out as a template for ROW markets, then it will create a path for future models from the Renault-Nissan Alliance and Daimler joint venture – like the new premium compact sedan, which will be built in Mexico, sold as an Infiniti and a Mercedes-Benz, and launched in 2018. But for now, after a couple of weeks with the Q30S (2.0L turbo petrol) in my driveway, I must say I really enjoy driving it. It is comfortable, imparts a feeling of style and luxury, and the panel fit, and trim margins are excellent. Nothing to see here folks. That's a Mercedes-Benz engine under all that plastic! A big pat on the back to the workers in the UK who put it together. My last comment is a warning to Nissan Australia. In fact Nissan anywhere! 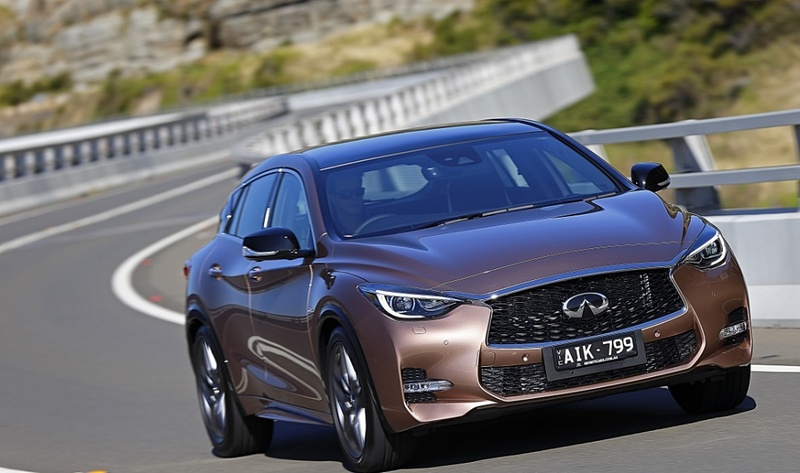 Don’t undersell the potential Q30 has to lift Infiniti brand recognition. This car deserves a dedicated marketing budget, a well-planned marketing strategy, and a continued flow of resources to keep at the front of buyers’ minds. Anything less, and the Q30 will simply not achieve the potential it represents.